John Bunyan was a prolific author who lived during the seventeenth century in England. His profession was a tinker (mender of pots). In his youth, he lived a purposely and flagrantly immoral life but after experiencing salvation through Christ he underwent a dramatic change. 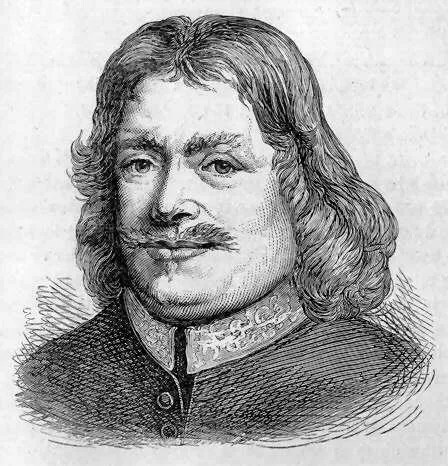 A sketch of John Bunyan. Bunyan became a famous preacher, was oftentimes imprisoned for operating outside the official church, and wrote numerous books – many of which were written during his extended imprisonments. Grace Abounding is John Bunyan’s spiritual autobiography. It is filled with a fascinating account of Bunyan’s life (including apparent struggles with Obsessive Compulsive Disorder (OCD) and Depression) as well as insights into the culture of the time in England. Further, Bunyan makes extensive use of the Scriptures – either explicitly quoting to them or clearly alluding to them – throughout his work. I have undertaken to create a contemporary and annotated edition of Grace Abounding by John Bunyan to make it accessible to current readers. This has included eliminating archaic terms, utilizing contemporary wording and grammar, and the inclusion of numerous footnotes explaining historical, theological, contextual, and biblical topics that arise in Bunyan’s original text but may not be familiar to most readers. You can purchase this volume here.